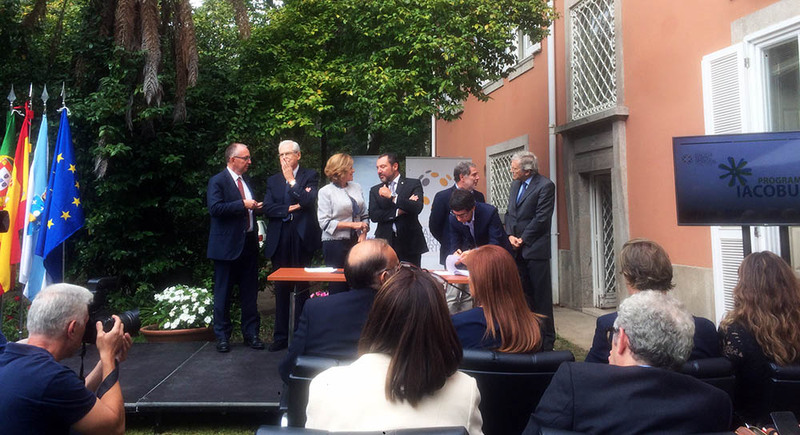 The INL – International Iberian Nanotechnology Laboratory is one of the 26 Scientific and Higher Education organisations located in “Galicia – North of Portugal” that signed an agreement for the development of Cultural, Scientific and Teaching cooperation in this Euroregion. IACOBUS Program will promote the cooperation and exchange of human resources between the member institutions, to facilitate the flow of innovation. The protocol was signed on October 14th. by the Director-General Lars Montelius on behalf of INL during a ceremony presided by the Portuguese Secretary of State for Science, Technology and Higher Education, Maria Fernanda Rollo, in the presence of the President of CCDR-N (Regional Coordination Agency for the North of Portugal), Fernando de Sousa, and the Vice-President of Xunta de Galicia (Galicia Regional Government), Alfonso Rueda Valenzuela.